Girls of Paper and Fire by Natasha Nagan (380 pages) is perfect for fans of Sarah J. Maas, Laini Taylor, and Leigh Bardugo. Especially if you are looking for some representation within YA books. Nagan’s book does just that, blending cultures of the United Kingdom and Malaysia, China where she grew up. The book also has a lesbian romance as the main romance, and it was great to see the representation. I will put a trigger warning for scenes of sexual violence and assault here but the book also contains this warning but I decided to mention it for anyone thinking of reading the book, just to let you know. The scenes that contain sexual violence and assault are intense but I appreciate Nagan’s rawness in this sense and not trying to shy away from the topics which she writes beautifully. I feel that the book would be so much less if Nagan had tried sugarcoat the sexual violence and assault. But please be aware of this before you read it. 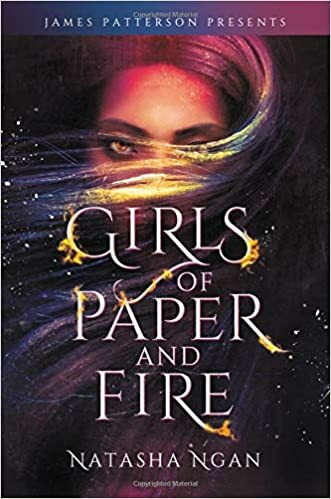 Girls of Paper and Fire follows Lei a village girl who is selected for a competition every year in which eight girls, known as paper girls, are chosen to be the King’s concubines. But this year there are nine girls, and as Lei adjusts to life as a paper girl she falls in love. I loved this book because of the main romance and that the author (who is queer herself) chose to portray a lesbian romance, it means so much and also is just some fresh diversity that I needed in YA books and have not seen in a long time or read for that matter. I also loved the female relationships, while the girls struggle with their new life there are many friendships formed that are just very supportive and feel good, the characters are human and make mistakes within their friendships also, but band together within their groups and support each other within tough times. The book was an amazing read for me and opened my eyes to some of the many facets of the world and gave me insight into many topics. Which Nagan brings to life with her lyrical writing and talent. Not only that but I am so happy for the lesbian romance present in this book, the book receives only high reviews from me and I would highly recommend it if you are in the mood for a feminist type of read with a different take on romance.